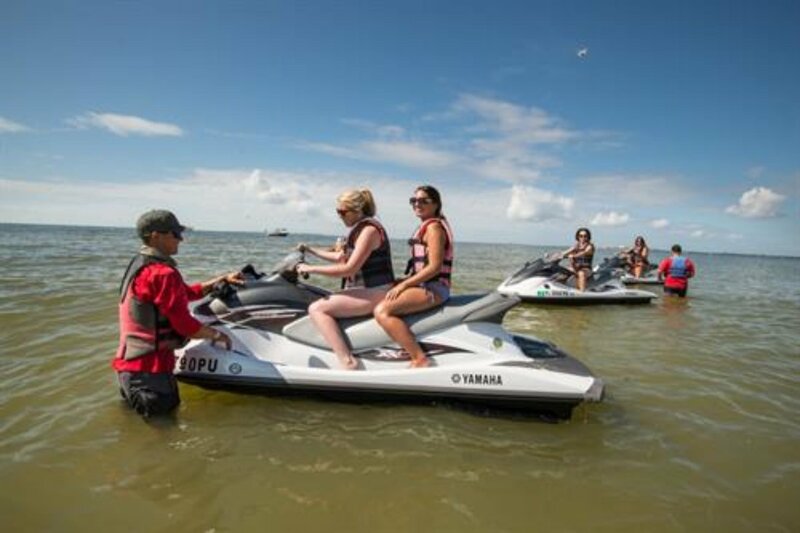 We offer the best Dolphin Adventure Tour on the island and largest free-ride area for waverunner rentals. We also offer stand up paddle board instructions and rentals at all three beach-front locations. 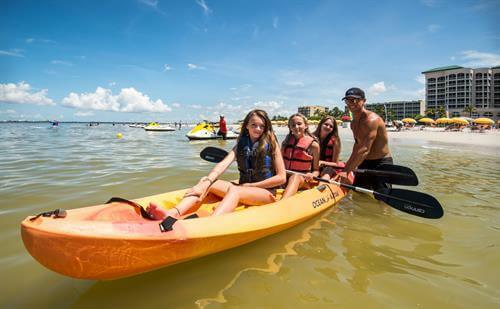 Try our kayaks, or a Hobie sail boat. Great for the experienced sailor. 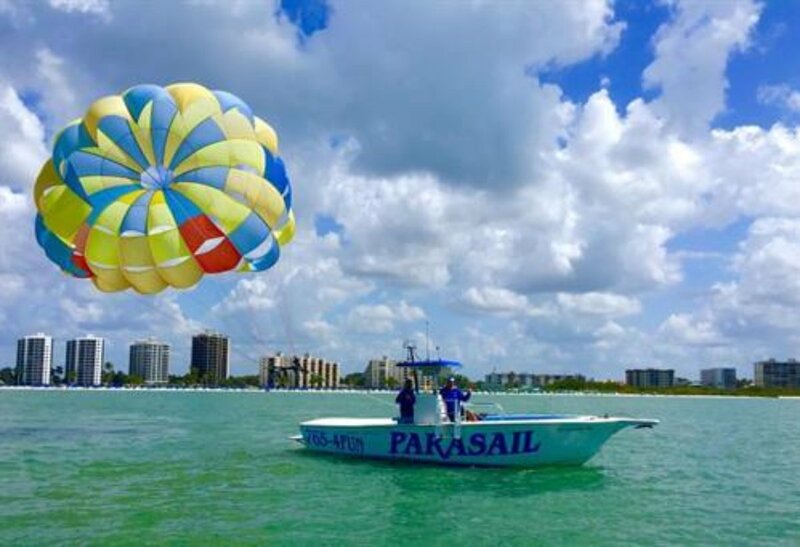 Parasailing is available through Estero Island Parasail. We have oversized beach umbrellas and chairs as well as covered cabanas for half-day or daily rentals. We have been In business since 1991. 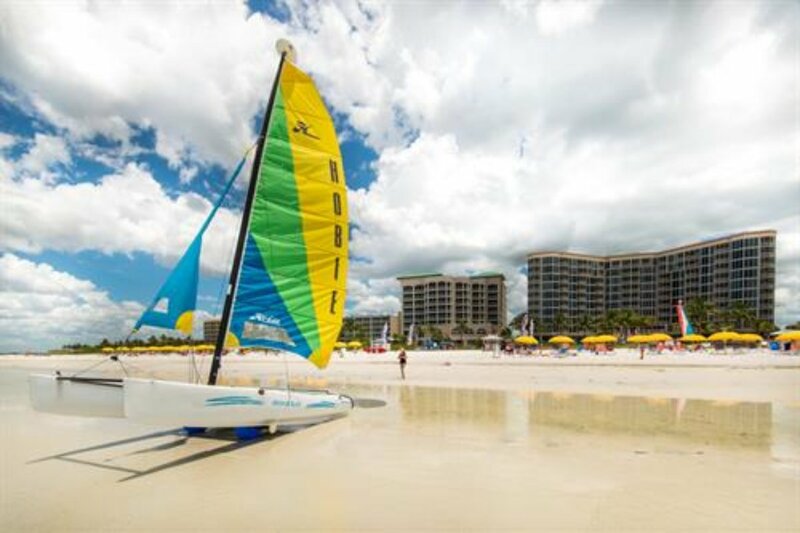 Allow our family-friendly staff to help you have a fantastic beach day. Instructions and life jackets available for all rentals.